Mitch McConnell is done playing games with his Democrat colleagues. 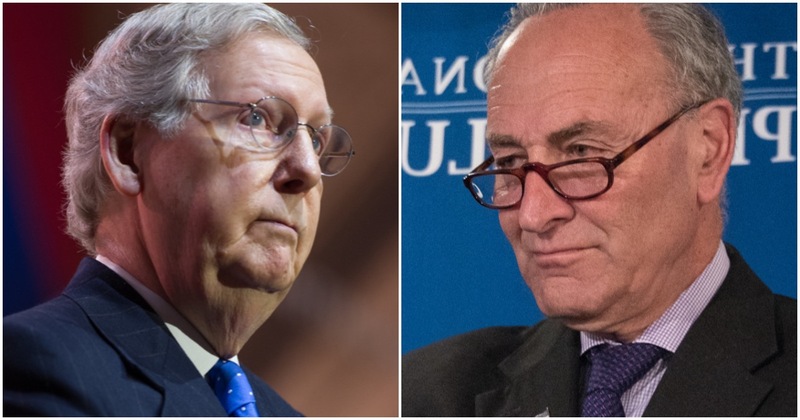 Chuck Schumer and others may want to continue to drag out the Mueller report for as long as possible, with the hopes of further tarnishing President Trump’s image, but Mitch won’t have it. That’s why he just made a big move. Senate Majority Leader Mitch McConnell (R-Ky.) on Monday blocked a resolution calling for special counsel Robert Mueller’s report to be released publicly. Senate Minority Leader Charles Schumer (D-N.Y.) asked for unanimous consent for the nonbinding resolution, which cleared the House 420-0, to be passed by the Senate following Mueller’s submission of his final report on Friday. Good. Because this measure is an unnecessary solution looking for a problem. Just like the previous one they had to prevent @potus from firing Mueller. When a person deletes a tweet, it generally signifies they were in the wrong. Probably should’ve thought twice about pressing “send” to begin with, but we’re all human. Rep. Alexandria Ocasio-Cortez (D-NY) sent a wild tweet accusing Senate Majority Leader Mitch McConnell’s chief of staff of being responsible for the uptick in people criticizing her, but was then quick to jump ship. In her now deleted tweet, @AOC claimed that people who criticize her on twitter are actually robots run by Cocaine Mitch. How did she figure this out? Who told her? Is this why AOC sent the tweet to begin with? That doesn't follow. Astroturfing *sometimes* includes bot activity, but the reporter never alleged that and his link doesn't say that. And he said *Berman* was the astroturf firm, not Calvary. Heads up – I’m deleting a tweet about astroturfing bc I want to make sure details are solid. Dark $ is hard to track, & the practice of astroturfing to manipulate public opinion is notorious. Want to make sure any comments about it are thorough. Quote tweet will be RT’d ✌???? MSNBC host Rachel Maddow is everything wrong with America, at the moment. She doesn’t understand what makes the United States great, and she’s ignorant when it comes to learning her history. After Special Counsel Robert Mueller turned in his final Russia collusion report to Attorney General Bill Barr, Maddow actually cried on live TV. Rachel Maddow is actually crying on her show! RACHAEL MADDOW IS CRYING ??????????????????????????????????????????????????????????????????????????????????????????????????????????????????????????????????????????????????????????????????????????????????????? ?